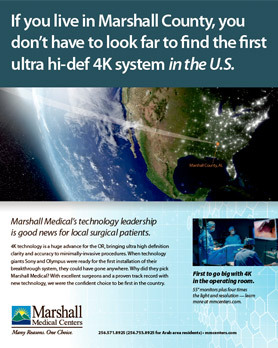 View the latest TV commercials and download pdf versions of our literature. 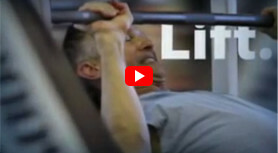 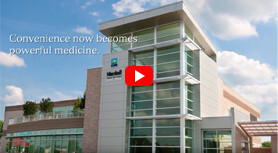 Click on the images below to view some of our TV commercials. 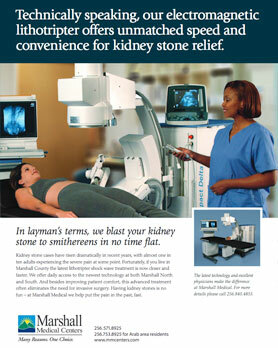 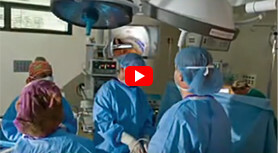 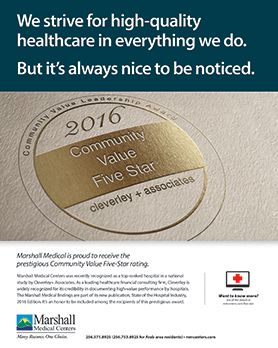 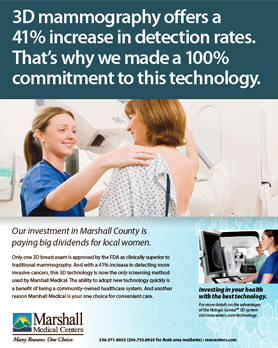 Three spots highlight the many reasons Marshall Medical is the right choice for your healthcare needs. 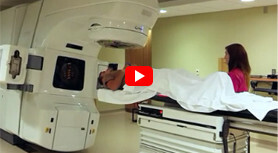 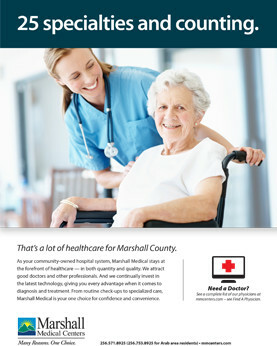 Click on the links below to hear radio spots from Marshall Medical’s “Your Voice” radio series, based on the many testimonials we receive from patients and their families. 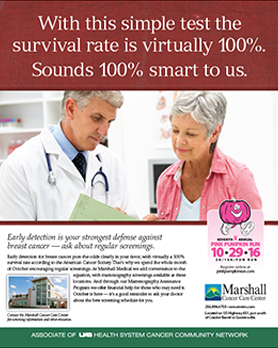 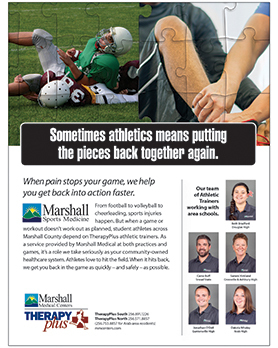 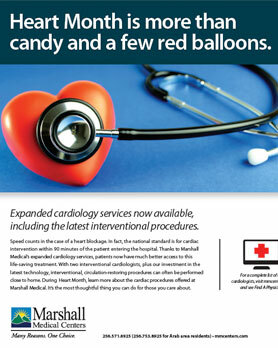 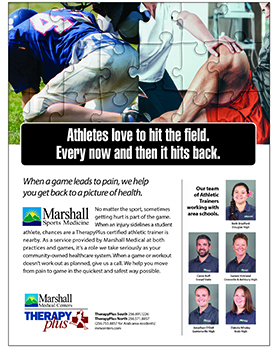 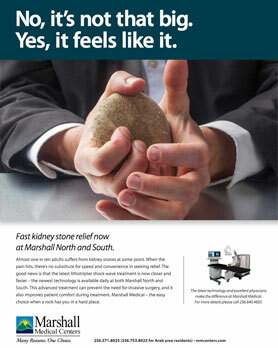 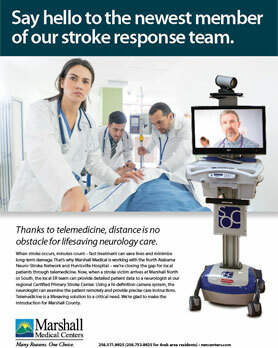 Click on the images below to view Marshall Medical's newspaper and magazine advertisements in PDF format. 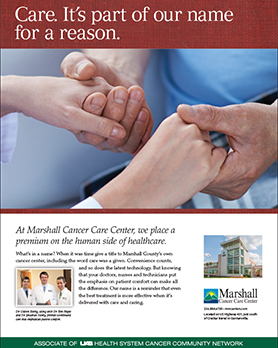 Click on the links below to download one of our brochures. 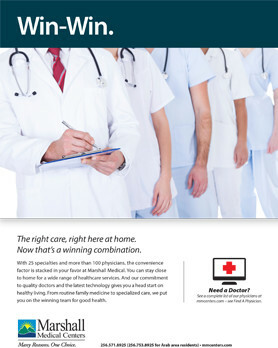 You will need the Acrobat PDF plug-in to view these documents.